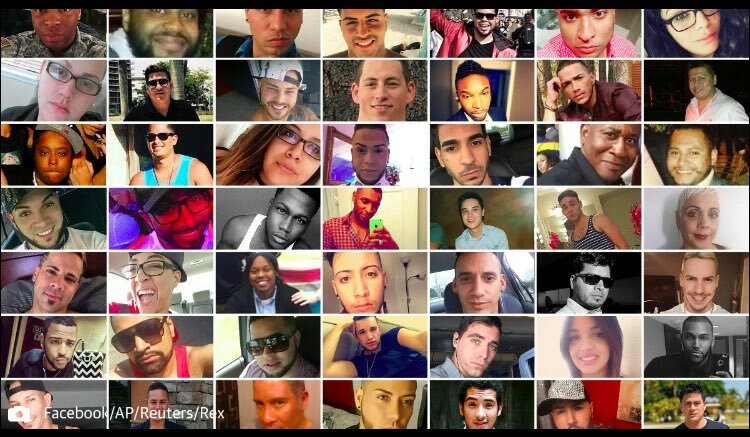 One year ago, on June 12, 2016, a killer snuck a gun into a busy gay night club on Latino night and opened fire, killing 49 people and wounding many others. In the immediate aftermath Republican politicians expressed sympathy for the victims, insist that even though a gay club was targeted during Pride month that it wasn’t actually an anti-gay hate crime, and then days later voted down gay rights protections. Those politicians weren’t the only ones to try to claim that the act wasn’t an anti-gay crime. We’ve had people gin up evidence (which has been thoroughly debunked) that the killer was secretly gay himself. We’ve had people and politicians try to claim the killer was part of an organized Islamic terrorist organization, and that has been thoroughly debunked as well. The killer’s own father said that his son had been ranting for weeks about how angry he was to see gay men kissing each other in public. He spent weeks using a fake profile on a gay hook-up app quizzing gay men to determine which gay club would have the biggest crowd and which night of the week it would be busiest. It was an anti-gay hate crime. That doesn’t mean it wasn’t also terrorism, because that’s what all hate crimes are: the intent is to instill terror in the targeted community by singling out individuals for bashing or worse. I wrote shortly after the massacre to explain why this crime hit me so hard even though I live on the other side of the continent and don’t personally know anyone killed. My whole life I’ve lived with the fear and knowledge that there are people who hate queers enough to attack me and kill me, but I haven’t often had to think of that hatred being a danger to those around me. The killer’s father isn’t the only one who talked about what had enraged his son. Others who knew the killer have talked about his increasingly angry outbursts about gay people. Seeing two men kiss made him go kill 49 people in a busy gay nightclub during Pride month. It’s one thing to know that bigots hate me enough to kill me. It’s much worse to be shown that some hate me enough to commit a massacre. And it’s upsetting to know that some people who claim to be friends—and relatives who have said they love me—are unable or unwilling to understand that this killer’s actions are a symptom of society’s messed up attitudes about queer people and about guns. That is what people who claim this is just one lone nut, or that it isn’t really about queer people, or that there is nothing society can do that will make these crimes less likely to happen are actually saying. One year later, it’s still a gut punch. It leaves one wondering what we can do. There are organizations you can donate to: Scissor Sisters and MDNR honor Pulse victims with ‘Swerlk’ lyric video: Proceeds from the song’s sales and royalties will be donated to the Contigo Fund which, “offers financial support to organizations working to heal, educate and empower LGBTQ and Latinx individuals, immigrants and people of color, as well as those working to end all forms of bigotry in Central Florida”. 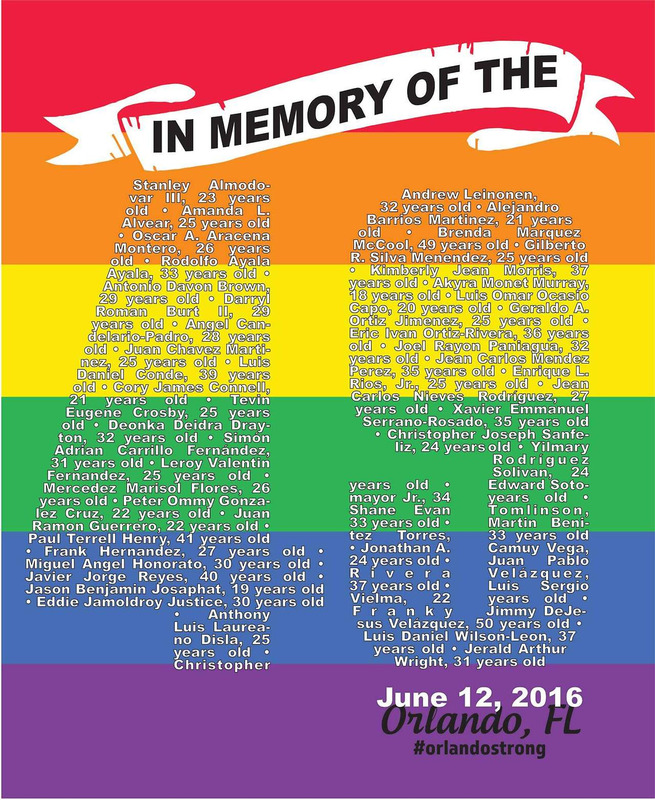 We can attend memorials: Thousands Expected At Pulse Memorial Events In Orlando. 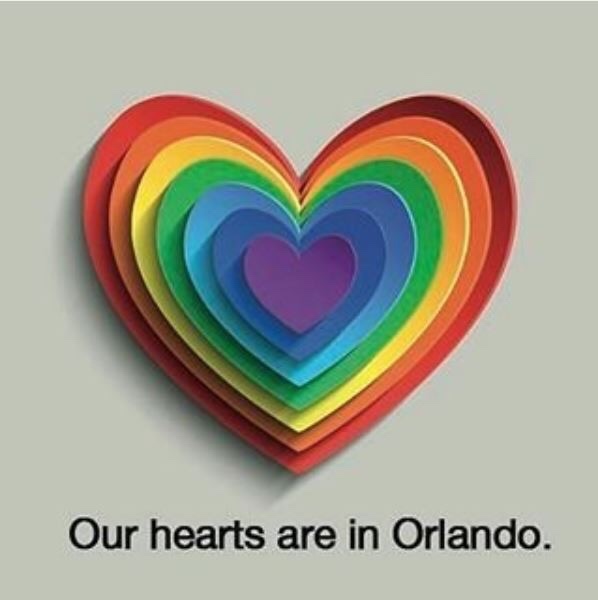 You can commit to acts of kindness and urge others to: Elected officials on Monday announced that June 12 officially would be dedicated as “Orlando United Day — A Day of Love and Kindness.”. We can remember the victims: Orlando Sentinel Marks One-Year Anniversary of Pulse Nightclub Massacre: In print, a special 16-page section; online, free access for all. We can try to help the healing process: Faces of healing, one year after the Pulse Nightclub massacre. Mostly, please just recognize that this was a hate crime, fueled by our society’s abhorrence of gay people and helped by our irrational obsession with prioritizing gun rights over human rights. It wasn’t an act of anti-american terrorism. It wasn’t merely the actions of one disturbed individual. It is a symptom of very American dysfunction. It is a hate crime, and all hate crimes are meant to instill terror in the hearts of the targeted community. If you are a straight person who still insists this wasn’t an anti-gay hate crime, please answer this question honestly: was this crime a gut punch of terror for you? Was it? I have been relieved that most of the coverage of this crime focused on the victims. Too often the coverage of mass shootings focus so much on the perpetrator that it’s as if he’s a hero, instead of a despicable excuse for a human being. I think I have managed, despite writing about this incident many times, never mention to the name of the killer. Instead, we need to honor the memories of those slain: Orlando nightclub shooting: Read about the victims.